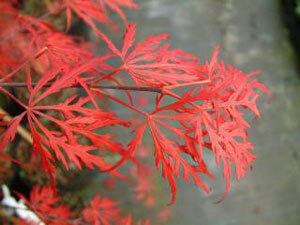 Holds it’s rich dark crimson color until late summer, fall colors are tones of scarlet. Mounding, medium growth. A vigorous red dissectum, leaves larger and coarser toothed. 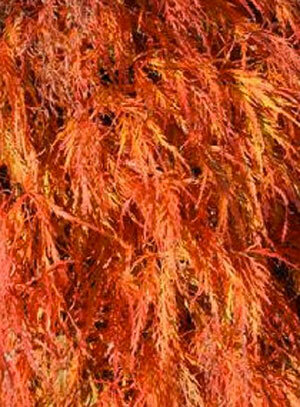 Holds red-orange color until late summer, with crimson fall tones. Growth habit is more open and spreading. At maturity it will become as wide as it is tall. 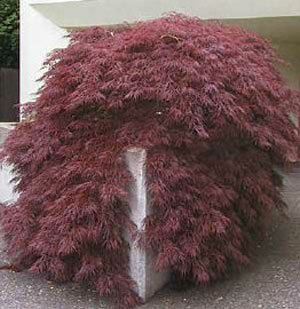 Spring foliage is dark purple turning to reddish brown with green overtones, summer green with red undertones. October is brilliant golden yellow-orange tones. 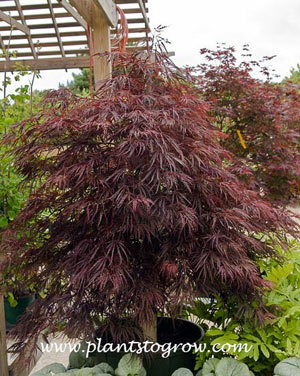 New foliage is a deep crimson red when unfolding, but changes to very dark purple red. Fall color is bright scarlet. 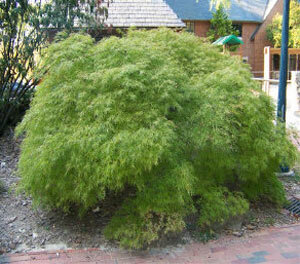 Weeping, medium growth, sun to part shade. 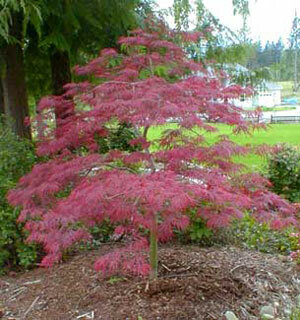 Viridis is a green lace-leaf japanese maple forming a mounding shape.